Have you ever had grilled beef with 'chinchalok'? 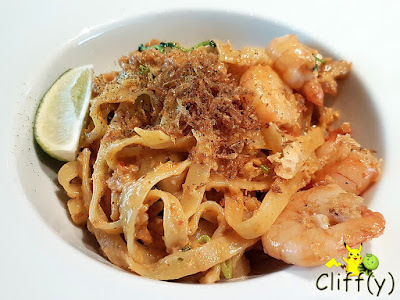 Redpan is a fusion bistro that prides itself in being a modern Singaporean bistro, serving "creative interpretations of modern dishes with a spotlight on local ingredients and familiar flavours." Collaborating with DP Architects, one of the largest architectural practices in Singapore, it has got a chic decor. I had a hard time deciding which dishes to try as many of them sound interesting. 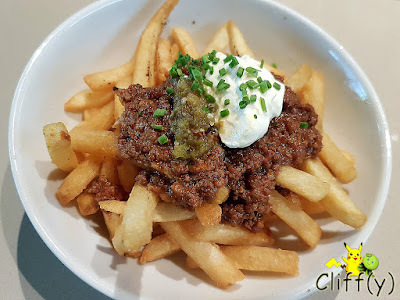 Before the main course dishes arrived at the table, I sampled the fries topped with barbecued pork ragout, sour cream, jalapeno mash and spring onions. While a few of the fries could be crispier in the first place, I did enjoy the burst of flavours from the marriage of the various ingredients. The pasta dish was executed well with the tagliatelle being al dente. The prawns were springy and juicy, while the homemade dried shrimp paste was truly savoury and just a tad spicy. Having said that, I felt that it could be tossed with a bit more oil to make it less clumpy. 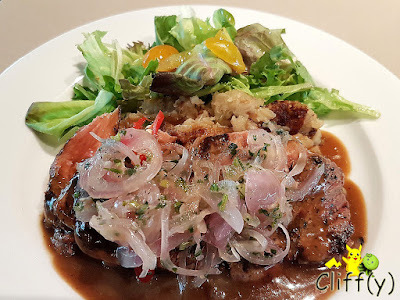 Fancy a dish of grilled ribeye steak with fermented shrimp paste with a side of salad? I felt that the sauce could use more of the said paste to make it more fragrant, but the red meat was tender. Underneath the beef were mashed potatoes. The pickled onions added another dimension to the dish. 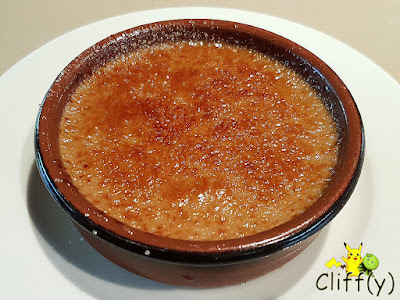 The custard dessert infused with ginger tea was adequately sweet and rich, although I was hoping that the aroma would be stronger. In terms of texture, it was smooth alright. The caramel layer was kinda hard though, requiring quite a bit of force to break. Do take a look at the menu in their website. I'm pretty sure you'll be interested to try some of the dishes. 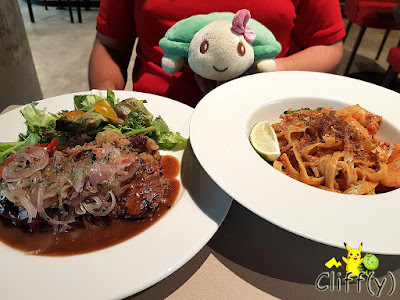 Pika's advice: On weekdays from 12 noon to 3.00pm, add S$3.00 to your choice of main course to enjoy a starter and a drink.